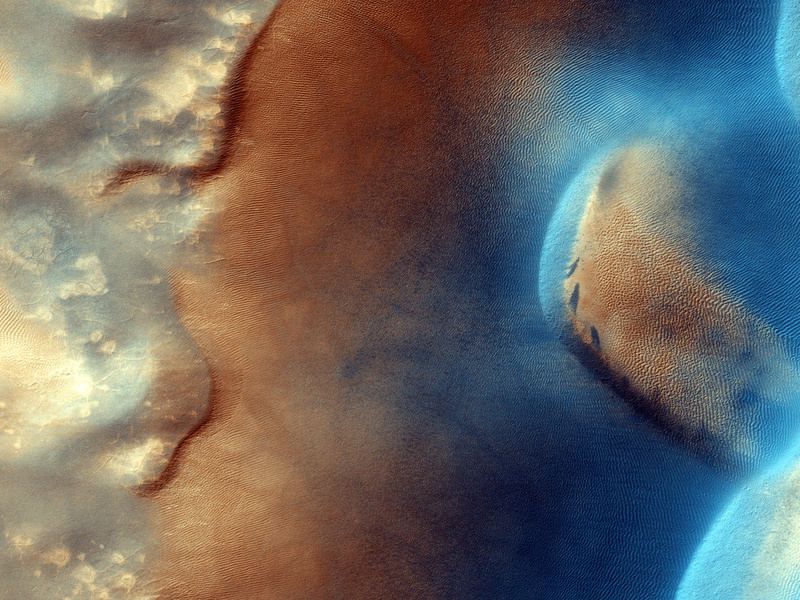 Some more Martian textural weirdness for you courtesy of the HiRISE camera aboard the Mars Reconnaissance Orbiter. Very Unique and so Fantastic Phil. Stunning colorations & terrifical textures!! Whats a condo goin' for now on Mars anywho?? I know its prime real-estate!! Maybe we could get in on the ground floor?? amazing!, great mixture and very pleasing to the eyes, i love it! i'd like to see more work from you, keep it up! Wow amazing, i love the colours and the contours look like they might be a persons skin. Beautiful! Love the texture and colours, looks like a sea bed to me but it could be a giant finger print. Thanks for sharing.